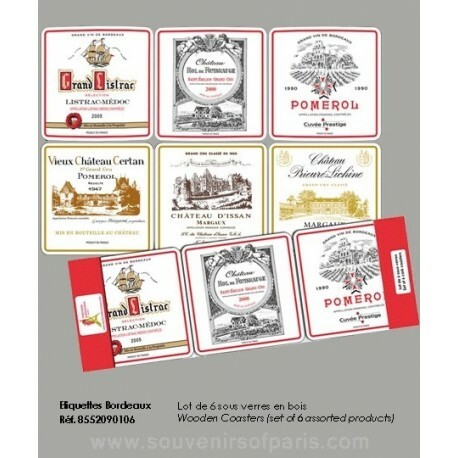 Coasters for your table with 6 vineyards from the Bordeaux region. 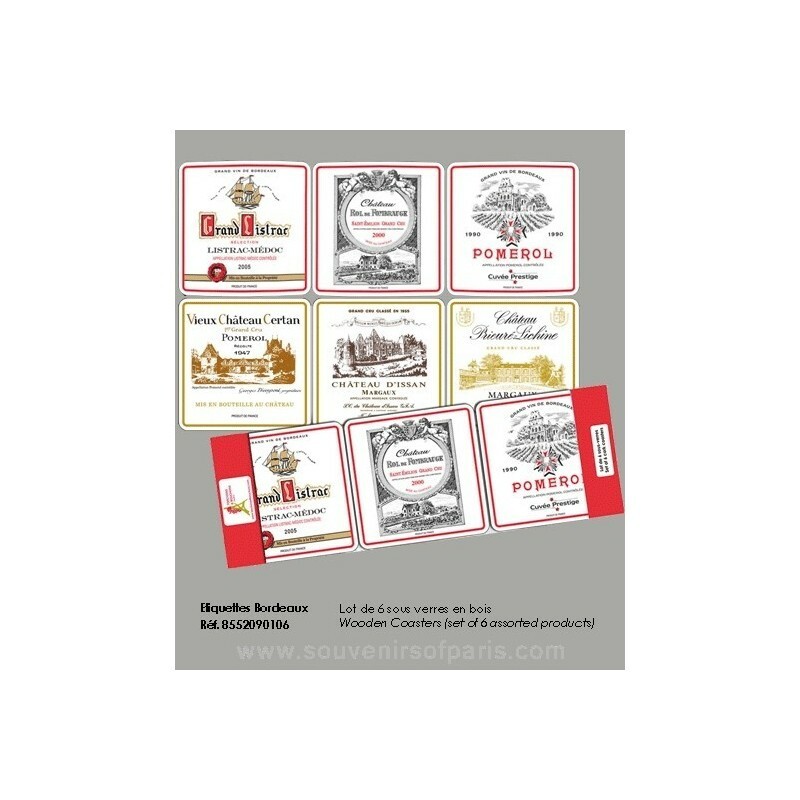 These classic coasters highlights the Bordeaux wine houses. 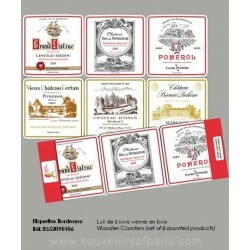 You can put your glasse over it without hurting the painting or your table.